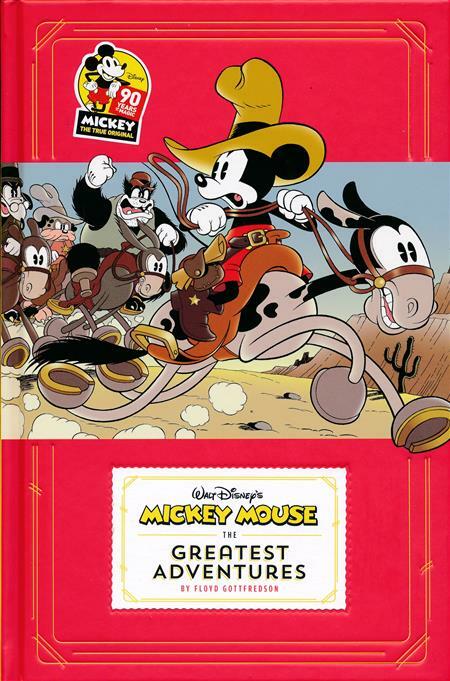 Fantagraphics is celebrating 90 years of Mickey Mouse's adventures by assembling the best stories from its 14-volume Floyd Gottfredson Mickey Mouse series, but this time in full color! See Mickey race to a Wild West gold mine with Pegleg Pete, battle the Rhyming Man for an atom-smashing machine, and stop a hypnotist from hexing half of Mouseton. In this spectacular popular edition there are several extrawild, extra-beloved adventure stories in beautiful modern color.